In a rare moment of direct criticism, Supreme Court Chief Justice John Roberts rebuked President Trump on Wednesday for [Trump's] the president's description of a federal judge who ruled against his asylum policy as "an Obama judge." Within hours, the president fired back on Twitter, launching an unusual conflict between the executive and judicial branches. "We do not have Obama judges or Trump judges, Bush judges or Clinton judges," Roberts said in a statement. "What we have is an extraordinary group of dedicated judges doing their level best to do equal right to those appearing before them." 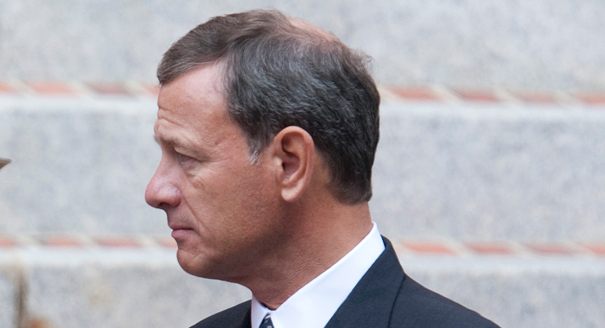 "That independent judiciary is something we should all be thankful for," Roberts said. Roberts has never responded to any president so directly and publicly before. Trump's initial response was to a ruling by U.S. District Judge Jon Tigar, who issued a temporary restraining order against Trump's asylum policy Monday, saying it violated a provision of the asylum law. Trump called the decision a "disgrace," adding, "this was an Obama judge and I'll tell you what, it's not going to happen like this anymore." Trump went on to excoriate the 9th Circuit Court of Appeals which he wrongly blamed for the ruling, saying, "Every case that gets filed in the Ninth Circuit, we get beaten. And then we end up having to go to the Supreme Court, like the travel ban, and we won," Trump said. However, Tigar is a district court judge who sits in San Francisco, and the Ninth Circuit, which encompasses much of the western United States, has not yet been asked to rule on his decision. Tigar's decision is also temporary, lasting only until Dec. 19 when the judge is scheduled to hear arguments about whether the order should remain permanent. This is not the first time Trump has criticized a judge. During the presidential campaign, he called one judge with a Spanish surname who ruled against him a Mexican, alleging he couldn't rule fairly because of Trump's proposal to build a wall along with border with Mexico and called another who ruled against his travel ban "a so-called judge." The American Bar Association joined in the criticism of Trump's comments. "Disagreeing with a court's decision is everyone's right, but when government officials question a court's motives, mock its legitimacy or threaten retaliation due to an unfavorable ruling, they intend to erode the court's standing and hinder the courts from performing their constitutional duties," said ABA president Bob Carlson. [I]t appeared Roberts, when asked to comment by the Associated Press, was eager to counter Trump’s criticism Tuesday of District Judge Jon S. Tigar. The Roberts statement did not mention the president by name. Roberts made it clear last month that he is particularly sensitive about the image of the courts because of the recent partisan battle over the confirmation of Justice Brett M. Kavanaugh.